I had so much fun taking part in the Theatre Guild of Rockingham County's production of Children of Eden, that I tried out for Oliver Twist. And I wound up with the role of Mr. Sowerberry (the undertaker who is given custody of Oliver after his pleading for "more"). Taking part means a lot to me personally, because this production is being dedicated to the memory of Gene Saunders, my high school drama instructor and the founder of the Theatre Guild. Gene's signature role was Fagin, and if you were ever lucky to see him play the part of the shifty thief, you already know that he brought an amazing weight and, I'll even say "magic" to the role. This production, directed by Jon Young and with Jessica Reed serving as stage manager, boasts an absolutely wonderful cast. Tim Wray is playing Fagin and Mike Morrison is Bill Sikes. Jasper Thomas III (who won a wazoo-load of awards at the Theatre Guild dinner a few months back and who delighted audiences as young Abel in Children of Eden) is Artful Dodger. Rob Compton is Mr. Bumble and his lovely wife Donna is Mrs. Corney. Theresa Brown will be making her stage debut as Mrs. Sowerberry. Tish Owens is Nancy and Tony Hummel is Mr. Brownlow. 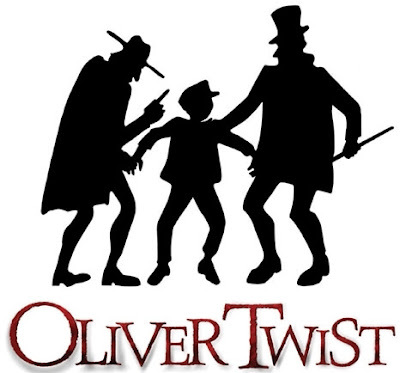 And Nathan Tolodziecki stars as the lovable young moppet Oliver Twist. Congratulations on getting the part. Who knows...I might find some free time to come see you perform. "I had so much fun taking part in the Theatre Guild of Rockingham County's production of Children of Eden, that I tried out for Oliver Twist. And I wound up with the role of Mr. Sowerberry (the undertaker who is given custody of Oliver after his pleading for "more")."